Angela Galloway, RDH - "I have been a part of Bridging Brighter Smiles since 2014 bringing over 20 years of dental hygiene experience. It is incredibly rewarding to be able to give back to the community by providing quality dental care and education to so many children that otherwise may not have access to care. Throughout the years I have seen the positive impact that Bridging Brighter Smiles has made in so many families and their school districts. I am proud to be part of such a great program! My husband and I live in Oshkosh with our 2 beautiful daughters and goldendoodle. " Sarah Allen, Dental Assistant - "My passion is health and wellness along with servicing people in the community. Since I've been a Dental Assistant with Bridging Brighter Smiles, I get to live my passion every day while helping improve the smiles of the future! I am very proud to be a part of such an experienced team that provides gold standard care. I also enjoy life with my Husband, 5 year old daughter, 2 year old son, Husky puppy, two cats, and guinea pig in Green Lake." Theresa Mock, RDH - "I graduated from Madison Area technical college in dental Hygiene in 1999. I have a passion for working with children, and have four of my own. I have always been interested in nutrition and general health and this is a prefect opportunity for me to share this passion. I also enjoy playing sports, hiking trails, and traveling with my family. I am very excited to work with bridging Brighter Smiles that gives the opportunity for children to have access to dental care." Rachel Grefsheim, Dental Assistant – "I live on the east side of Madison. I am married and have two kids. My son is 23 years old and lives in Chicago, and my daughter is 20 years old and will be a junior at the University of Minnesota. I also graduated from the University of Minnesota Dental Hygiene program. I have worked in private practice for 30 years. After retiring from private practice, I am very excited to be a part of Bridging Brighter Smiles. Giving back to the community has always been important to me and I am looking forward to this exciting change in my life." Tammy Roemer, RDH - "It is rewarding getting to know the school district staff and the kids enrolled in Bridging Brighter Smiles. It is also a privilege to help the children with improving their dental health. I have 3 children ages 9, 13 and 21. I enjoy working in the same school district which my daughters attend. My wonderful partner Miss. 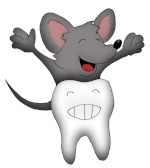 Shannon and I make a great team in nurturing the kids to have a positive dental experience." Shannon Meyer, Dental Assistant - "My favorite part of working for Bridging Brighter Smiles is returning to schools and having students ask "is it my turn?" with big smiles on their faces. I live in Verona and work in Verona and other Dane County schools. Many of the children we see haven't been, or don't remember being to the dentist before. My partner Tammy and I are moms and we definitely take a nurturing role talking to kids about how to improve their health by taking good care of their teeth. It is incredibly rewarding to go back to a school and see a child that was brushing once a week or less, now excited to show us the smile they are taking good care of." Debbie Moran, RDH - "I am married to Brandon and we have two boys at Monona Grove High School. Our boys play football and we are all huge Packer fans. I have been a member of the Devils Head National Ski Patrol for 22 years. I have also been practicing dental hygiene for 22 years, having graduated from MATC. I enjoy camping, fishing, skiing, watching football and volunteering for our schools. I love helping children of all ages and I'm excited to provide dental care for Bridging Brighter Smiles." Heidi Allen, RDH - "I graduated from Northcentral Technical College in 2016 with an associates degree in Dental Hygiene. I am excited to be working with kids and helping them learn a healthy mouth equals a healthy body, with Bridging Brighter Smiles. I have only worked in private practice as a temporary/traveling hygienist, so I am glad to join this team. I live in Loyal with my boyfriend, 3 kids ages 11 , 7, and 8 months, 1 dog, 1 cat and fish. I enjoy spending time with my family, being outdoors. We like to camp and fish in the summer. I also enjoy cooking and baking when I get a chance. I was born and raised in MN moved to Wisconsin in 2001 but I enjoy it very much. I am very happy to be with Bridging Brighter Smiles." Pa Fischer, Hygienist - "I am proud to be working with Bridging Brighter Smiles to help connect children to dental care with ease. It is an honor to not only serve children who don't have dental homes, but also those in my community. I hope to spark motivation in them and take initiative in their oral hygiene for better oral and overall health. Currently, I live on French Island with my husband, our three awesome kids, and cat Elvis. Being a mother of three young, busy little bodies doesn't leave much for hobbies, but when I get the chance, I enjoy some gardening, sewing, photography, and attempting DIY arts and craft projects." Nikki Gleason, Dental Assistant - "I live in Tomah with my husband, four children and two dogs. I am originally from South Milwaukee in southeastern Wisconsin. My husband is active duty in the Army and it has taken us so many places, and given our family so many experiences and opportunities! We moved to Tomah in 2015, and for the first time, in a long time, we truly feel at home. Our heart is true to our home state of Wisconsin. Our family loves the Packers, Badgers and Brewers! In my free time I love spending time with my children, as they grow up way too fast! I have worked with children most of my adult life in a childcare setting. I have been home with my children for the past few years, and now it's time for me to return to my career of working with children. I am so thrilled with the opportunity that Bridging Brighter Smiles is giving me! I can't wait to make a difference in the lives of so many children and families!" Paula Reese, BS-Ed, RDH - "I live in Viroqua with my husband, William, and our Great Pyrenees dog, Maggie. I have been practicing dental hygiene for over 40 years and have also spent more than 7 years as a teacher in grades K thru 6. Having worked in almost all types of dental settings, I can truthfully say that this is the most rewarding job I have ever had. I love working in the school setting and meeting the children. Helping them in even a small way to achieve better dental health is most satisfying." Elizabeth Acker, Dental Assistant - “My name is Elizabeth and I live in Marathon, WI. I am married to my high school sweet heart Doug. We have a 16 year old son, Nathanael. I am excited to be part of the Bridging Brighter Smiles team encouraging and teaching kids about the importance of good oral hygiene." Rini King, RDH - "I have been a practicing Hygienist for 38 years; have 3 grown children and 7 grandchildren. I live in Western Wisconsin in a small town called Baldwin. I have a daughter, two granddaughters, and a sister who live here also. I am excited to be part of such a unique and rewarding company who make dental health and well being accessible to hundreds of children on a daily basis. I am proud to be able to make a difference in their understanding of, and importance of, good dental habits. At the end of each day, I drive home with a smile on my face and that "warm, fuzzy feeling" in my heart knowing that I am helping create good health habits that they will carry with them throughout their lives." Michelle Schillinger, Dental Assistant - "I live in Wilson, WI with my husband Darin and my sun Hunter. In my spare time I enjoy making items from bullet casings. My father built me a shop behind my house! I love working with Bridging Brighter Smiles, everyday is fun and exciting! Meeting the kids is my favorite part of the day." Amy Odgers, RDH - "My name is Amy Odgers and I have 20 years of dental hygiene experience. I am fortunate to work for Bridging Brighter Smiles which allows me to provide high quality oral hygiene care to children in a safe, fun and convenient setting! My husband and I live in Kimberly with our 4 children and chocolate lab. I enjoy spending time reading, traveling, and attending the many activities of my children." Tanisha Escamilla, Dental Assistant - "I have been looking into the dental field/dental schooling since I had my first child four years ago. I knew that I wanted this as my career and when I found this position I knew it would be perfect for my family with my daughter starting school this year. My children are in tumbling and swimming classes which keeps us busy all year round. I’m excited to join this company and meet all the kids and teach them proper dental care. " Bridgett Jandrain, RDH - "I have been a Dental Hygienist for over 14 years. I live in Luxemburg, a small town near Green Bay in the Kewaunee County area. I am married with four children ages 10, 8, 5 and 3 that keep us very busy. In our infrequent "spare time", when we aren't juggling the kid's many activities, we like to spend time at our cabin near Mountain. I am so excited to be a part of the De Plaquers team for Bridging Brighter Smiles to be able to service the friends and classmates of my children in the Kewaunee County area and surrounding districts. Through my many years in private practice, I have seen a great need to service the children at risk in our communities and I look forward to giving them a wonderful dental experience. Working with kids has always been my passion, so I am excited to be part of a program that addresses that need." Anita Crim Wallace, RDH/DA - "I live in Mount Horeb with my family. Our daughter will be starting 7th grade this year. I love being a dental hygienist and I especially enjoy working with children! I am excited to join Bridging Brighter Smiles knowing that I will be providing care to families that are unable to access care. I enjoy reading, running and watching my daughter play soccer and basketball."